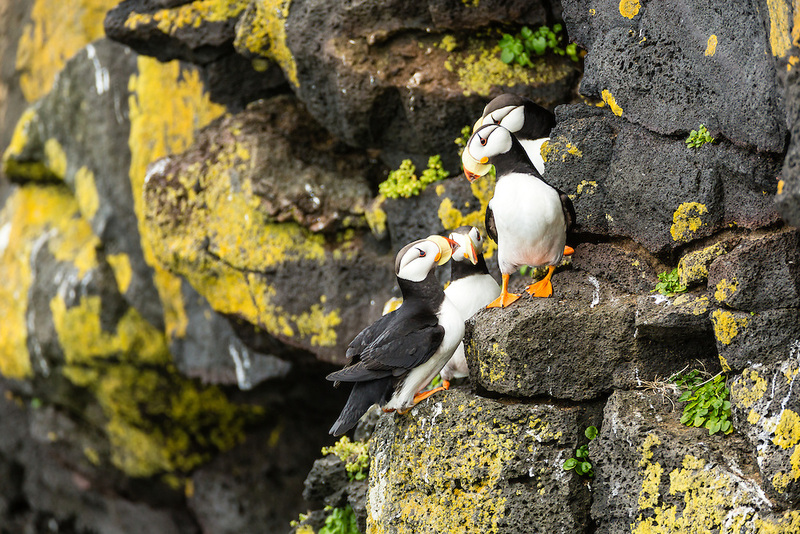 Horned Puffins (Fratecula corniculata) crowd on to the cliffs on St. Paul Island in Southwest Alaska. Summer. Afternoon.